The Texas Health Care Association has released a report detailing how this demographic tide will affect the long term care industry. 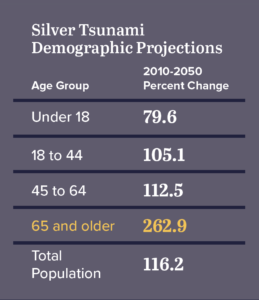 Click here to download the report on the approaching Silver Tsunami. Texans respect and value seniors. Even the most ardent advocates of limited government believe providing care for seniors unable to care for themselves is a fundamental responsibility. Unfortunately, Texas’ history of chronically underfunding long term care does not reflect this commitment, producing barriers to quality care and setting up ominous consequences.As Baby Boomers reach retirement, a perfect storm could overwhelm nursing homes: A surge in the number of aging Texans, known as the Silver Tsunami, a decline in family caregivers and a long term care sector already deprived of adequate funding. 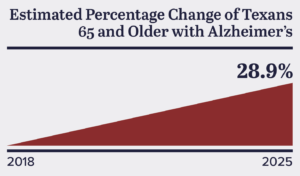 As the aging population in Texas increases, the long term care industry must prepare for an influx of residents who will be suffering from complicated neurological-related disorders and dementia such as Alzheimer’s and Parkinson’s diseases. This population of seniors will require the round-the-clock, intensive, skilled care that nursing homes provide. The approaching tsunami of aging Texans will push Texas nursing homes to their limits unless policy makers strengthen the industry’s ability to respond by addressing one of the lowest long term care Medicaid reimbursement rates in the country. The state’s Medicaid reimbursement rate for Texas nursing homes has been lower than the actual cost to care for a resident since 1994, and the funding gap continues to grow. The toll of the per patient, per-day shortfall is mounting, inhibiting operators from investing in their workforce and making much needed improvements to their facilities. The continued underfunding has fueled a workforce crisis in Texas nursing homes affecting the quality of care they are able to provide. Turnover rates for key staff are above 90 percent. 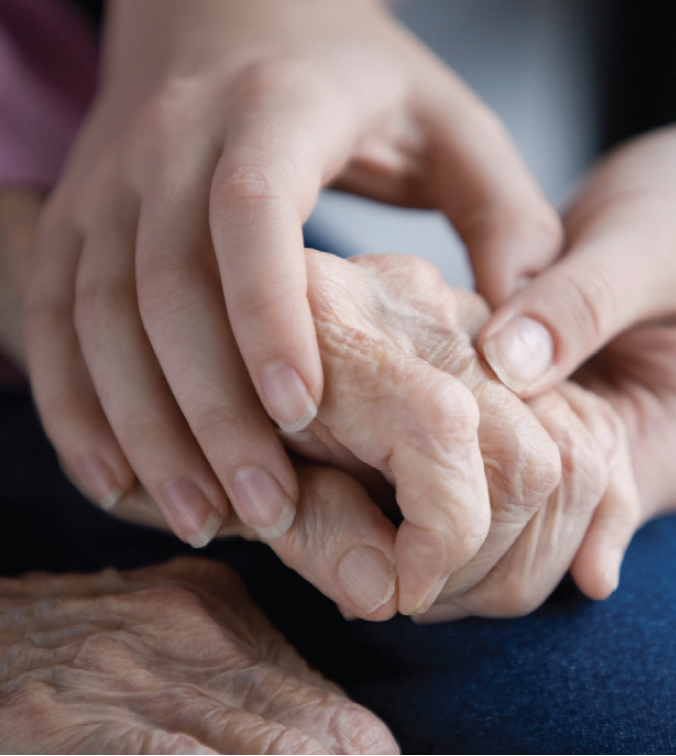 THCA released a report in April 2018 detailing how dedicated staff are leaving the nursing home industry and not returning due to low wages, demanding job responsibilities and an over-demanding regulatory environment. The influx of Baby Boomers approaching retirement age will produce an unsustainable burden for family caregivers who provide unpaid care to loved ones. Texas demographers expect that the number of Texans 45-64 years old (people in primary caregiving years) is projected to grow at a slower rate than those above 65 years. As nursing homes reach capacity, the disappearing family net will further strain an industry already unable to staff for the current level of occupancy. A decrease in unpaid caregivers will force many seniors who have depleted their assets to turn to the state for help with basic personal needs such as dressing, eating, bathing and mobility assistance in the final years of their lives. 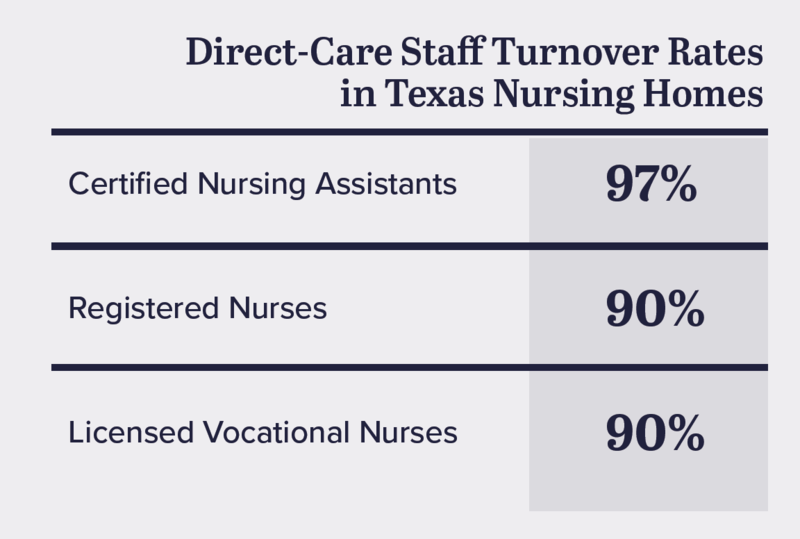 Click here to learn more about the long term care workforce crisis in Texas.